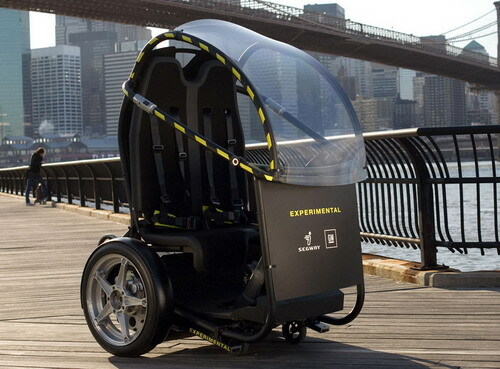 You believe it or not, but GM and Segway have paired up to produce a two-wheeled self balancing vehicle that would reach 35mph of speeds which is quite ahead of Segway’s current 12mph high speed only for its 35miles. 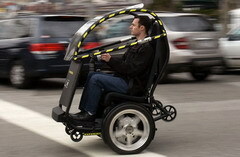 Unlike common motorcycle singular track, this electric vehicle will have similar arrangements as can be seen in quite well-known Segway Personal Transporter. It will house a lithium battery that will be capable to store enough juice to run the vehicle for more than 35miles with a single charge. Another much hyped expected feature of the vehicle is its ability to communicate with other vehicles around the road that will prove quite effective to decrease accidents risk and improved traffic flow. Its cost has not been decided yet, it is being expected according to initial projections that it will be around a quarter of the price that most of traditional autos have nowadays. The vehicle is going to make its debut at the New York Auto Show in this week. 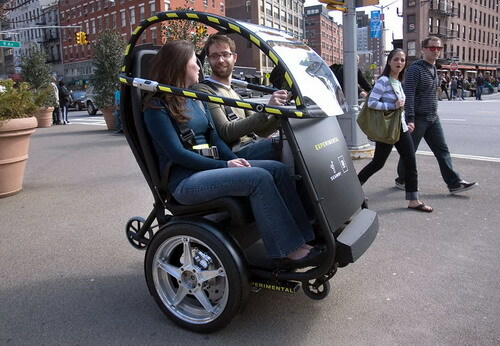 While showing off their PUMA project prototype, GM and Segway said in a joint meeting, “It is, indeed, a unique solution for those who want to move around the roads and streets while interacting to other fellows on the road. Please make a car that car that you dont have to recgarge every 35 miles or so. the concept of the electric car and the puma is good, but it has to have energy that can last a much or even better than gasolin. Is it not possible to make it use some amount of gasolin to recharge its battery instead of plug ins all the time? plaese do continue the green car technoly but with a better mileage performance. most buyers prefer convenience. when I fill my gasolin tank, I can use it for two weeks without a refill as long as I am within town – so the company that mwkes an alternative energy vehicle to last a week or more without a visit to the mains will win most green mororists.